Dominic Chambrone aka The Shoe Surgeon has teamed up with the Miami Heat NBA franchise for an exclusive Air Jordan 1 custom inspired buy the Miami Heat’s City Edition uniforms. 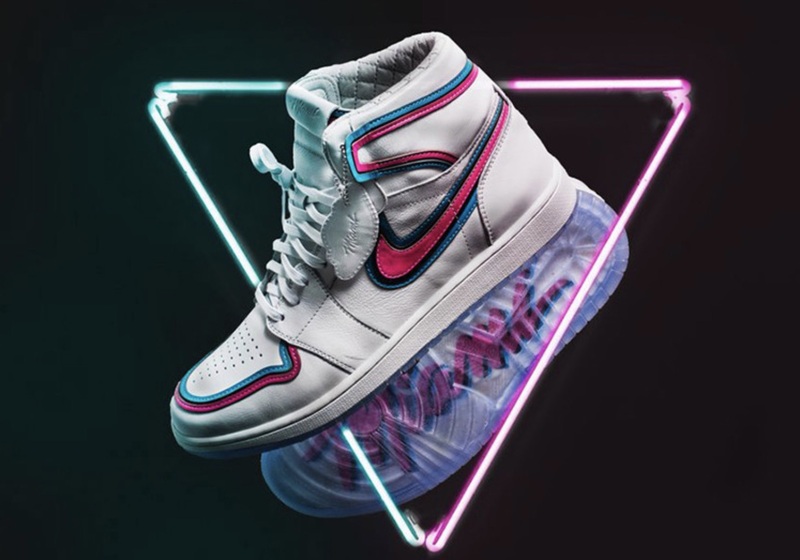 Dubbed the Jordan 1 “Vice”, it utilizes an appropriate combination of South Beach hues, sitting atop a white leather construction for added contrast. The city’s namesake can be seen scripted in classic retro Miami Vice style through the iced out outsole as well as on the custom tongue tab, replacing the standard branding. Five in total were produced, and four of them will be given away by the Miami Heat through a special media sweepstakes taking place between February 19th and March 8th. Be sure to follow Miami Heat on Twitter for updates on this giveaway.